Vice President Biden urged India to lower barriers to foreign trade and investment on Wednesday, July 24th 2013, in order to strengthen its economy. Foreign businesses, including Wal-Mart, have reduced their investment plans in the country. India’s weak public policy has led its foreign direct investments to crumble by 21% this past fiscal year. If India chooses to follow Froman’s advice, US companies will pounce on the opportunity to get a foothold in this lucrative market and growth will soon be at her doorstep. U.S. Trade Representative Ron Kirk visited Vietnam on September 2, after visiting Cambodia 1at the first U.S.-ASEAN Business Summit on August 3. 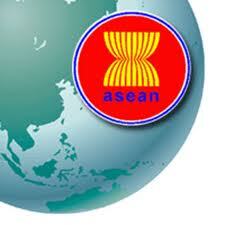 His visits were to deepen and strengthen trade and investment between the United States and Southeast Asian nations. Ambassador Kirk and Cambodian Minister of Commerce Cham Prasidh announced that the U.S. and Cambodia have started to explore a potential bilateral investment treaty (BIT). During Kirk’s visit in Vietnam, he also seeks to strengthen bilateral ties, advance Trans-Pacific Partnership (TPP) and regional economic integration. The visits set the stage for the fourteenth round of Trans-Pacific Partnership negotiations, which will take place in Leesburg, Virginia, September 6 – 15. Russia will become the 156th WTO member from August 23, a month after President Putin signed into law a protocol ratifying the country’s accession to the WTO. Then, Russia is expected to lower import taxes and open its market. How Russia will handle its WTO membership remains unveiled. 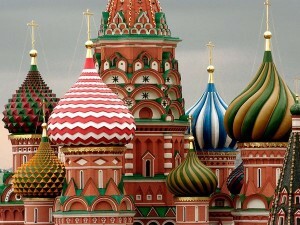 But it is certain that Russia is paving its path toward a more rule-based system and a more open economy. United States Trade Representative Ron Kirk stated that Russia’s acceptance to the WTO marks a historical event in the evolution of the WTO and the global trading system. With the last country of BRIC entering the world trade arena, we are expecting to see a more integrated world economy that provides important opportunities for international business and trade. Washington, D.C. – United States Trade Representative Ron Kirk announced that today in Geneva the United States signed agreements with the European Union (EU) and Japan that will bring to an end longstanding disputes with these important trade partners over “zeroing.” Zeroing is a label sometimes used to describe a methodology employed in antidumping calculations for aggregating unfairly-traded (“dumped”) transactions with other transactions. The disputes started nearly nine years ago, when the EU first requested WTO consultations over the use of zeroing. In April 2006 (in the EU dispute) and January 2007 (in the Japan dispute), the World Trade Organization (WTO) found that the U.S. use of zeroing in certain antidumping proceedings is inconsistent with WTO rules. After the WTO found that the United States had not brought its antidumping methodologies into compliance, the EU and Japan requested authorization to impose hundreds of millions of dollars of trade retaliation. Had these agreements not been reached today, substantial volumes of U.S. exports could have been closed out of markets in the EU and Japan, resulting in job loss for U.S. workers and financial loss for U.S. farms and businesses. Under the agreements signed today, the United States will complete the process – which began in December 2010 – of ending the zeroing practices found in these disputes to be inconsistent with WTO rules. In return, the EU and Japan will drop their claims for trade retaliation.